Garden City Community College is a community college located in Garden City, Kansas. The school was established in 1919 to provide a means for post-secondary education for area residents. The school opened with its first class of fewer than 40 students. The school moved to its current location in 1954. 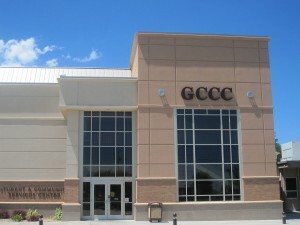 Garden City Community College is one of Kansas’s 19 community colleges. Garden City Community College is accredited by the Higher Learning Commission of the North Central Association of Colleges and Schools. Other programs offered at the college have also obtained specific accreditation as well. The college offers a wide variety of programs for students that will give them practical and hands-on training. There are over 30 programs offered today, with many new courses being added to meet the new demands of the workplace. These courses include but are not limited to Associate of Arts, Associate of Science, and Associate of Science in Nursing, Associate of Applied Science and an Associate of General Studies. Garden State Community College is committed to ensuring that all students have a chance to attain higher education. The school has a wide variety of programs available to help students finance their education while attending the college. Many local businesses and organizations in the Garden City area contribute money for athletic grants. The College also participates in student financial aid programs that are funded by the federal government. It is important to keep in mind that certain classes and programs have various additional laboratories, class material and book fees. In-state tuition for the 2012-2013 school year was $1600 (which is $50 per credit hour) with books costing roughly $1100 in addition to tuition. Garden State Community College is one of the first four community colleges to in Kansas. It opened its doors in 1919. The campus includes many different buildings including the Saffell Library, Fouse Science-Math Building, and the Pauline Joyce Fine Arts Building. Residence amenities were added in 1978. In 1996, the school added a teaching laboratory in order to provide the best hands-on education for those working in the area and in national industries. In 2006, the school also added the Community Services Center which consolidates public and student services, which helps to provide an on-campus home for adult basic education. There are many different activities that students can get involved in at Garden City Community College including sports teams, student media and clubs. Many of these organizations are student-centered, including planning and execution. These clubs can include events, parties and social get together to celebrate holidays and other traditions. Garden City Community College is a member of the Kansas Jayhawk Community College Conference and offers students a wide variety of sports programs to choose from. 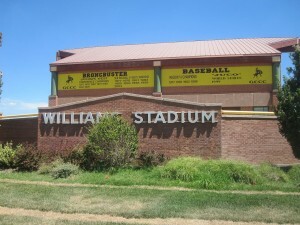 The school’s teams are known as the Broncbusters and the Lady Broncbusters. Garden City Community College has had a lot of success in sports. The athletic programs at Garden City Community College compete in the Kansas Jayhawk Community College Conference. The school owns more than 70 acres which are home to many athletic fields. These fields are named Tangeman Fields after the former school president, Dr. James Tangeman. The land includes many different athletic facilities, including baseball diamonds, a football field and a running track. Garden City Community College has produced many notable alumni, especially in regards to sports. Sports alumni include professional baseball player drafted by the Boston Red Sox, T.J. Bass and former NFL player for the Dallas Cowboys, Tyson Thompson.